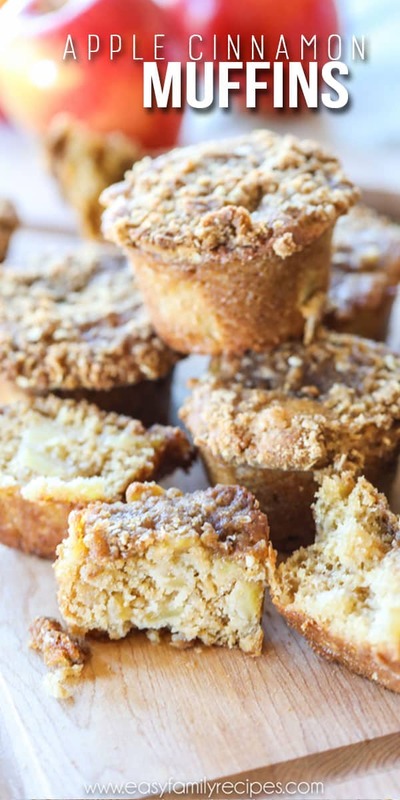 These easy Apple Cinnamon Muffins are the perfect treat for fall! 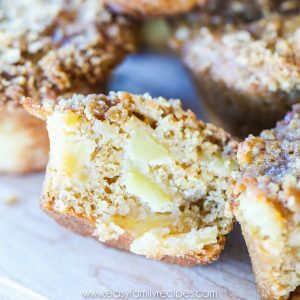 Filled with fresh apples and cinnamon layered in a tender muffin, and a crumb cinnamon oatmeal topping, these are so amazingly delicious. 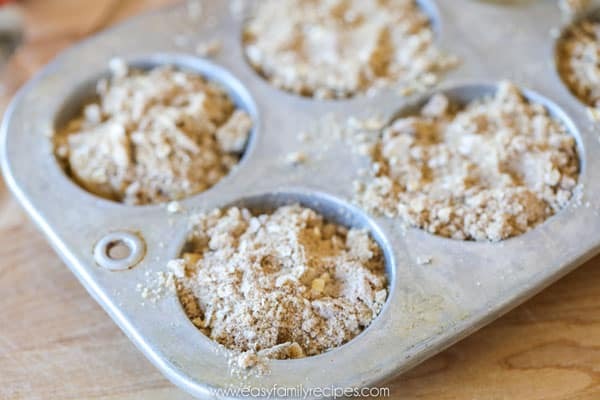 This recipe for Apple Cinnamon Muffins is one to keep for years to come and have handy to pass on to friends, because they will definitely be asking! I know that often during fall we get overtaken by all the pumpkin all the time, but I am here to make a case for apples. They are delicious and exude fall flavor. Apples can be used from sandwiches to pies and everything in between, and most importantly today in these apple cinnamon muffins! I am going to tell you all about these and some really helpful tips and tricks on how to make them, but first, I have a confession. I first made these to share with you in January last year. They are so dang good that I feel guilty that it has taken me this long to share them with you. Forgive me please? These Apple Cinnamon Muffins have a bit longer of an ingredient list than you might be used to seeing in my recipes. Despite having to gather a few extra things, let me implore you to try these! They are SO GOOD and SO WORTH the time to make them. They are still simple to make… I promise! So let’s give it a try okay? I am going to go through all the tips and trick I use to make these the absolute BEST. If you just want the quick version feel free to skip to the bottom of this post where you will find a printable recipe card. The first thing I want to share with you on these muffins are this nifty gadget. 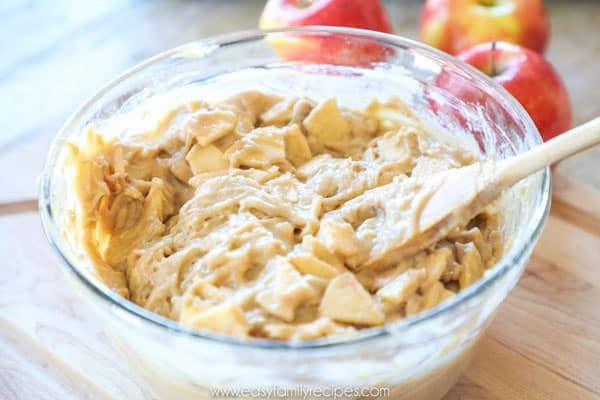 Since this recipe is made with FRESH apples, you have to get them all ready. You will need 4 apples, peeled, cored, and diced for this recipe. That can take a bit of time if you are doing it by hand, but when you have the right gadget for it. 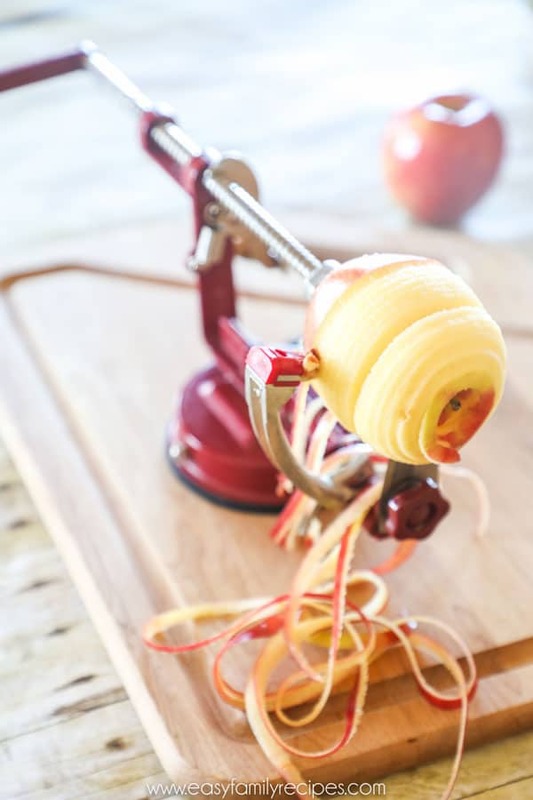 This apple peeler, corer, slicer was under $20 and makes the whole process take about 30 seconds per apple. 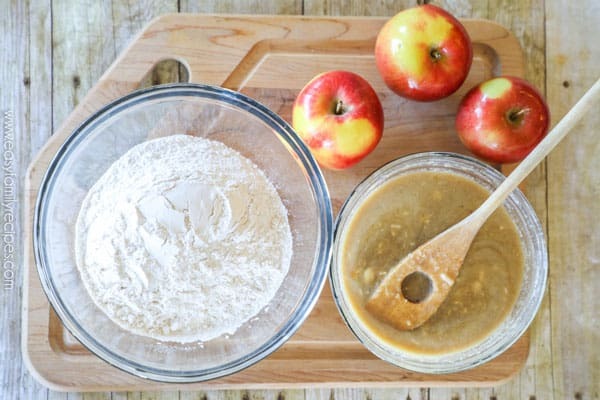 I use it whenever I bake with apples, but I also use it frequently because my kids love how it cuts the apples into a spiral and so it is a well used little kitchen gadget in our home. You can find them on amazon or in most kitchen supply stores. Once you run the apple through this, you will be left with a giant apple spiral. I just use a paring knife to cut off any peel or seed pieces that it may have missed, then I chop through the spiral several times and the apple is perfectly diced and ready. It really makes pulling these apple cinnamon muffins much easier! 4 medium apples, cored, peeled and diced– this will equate to about 3.5-4 cups of apples after they are chopped. I use the peeler I showed above and it makes very thin slices that I then dice which results in pretty small pieces. 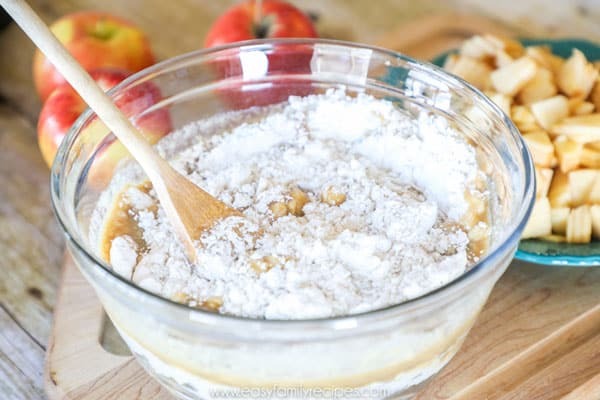 You can chop by hand if you want, but you need to make sure you dice them finely so that they can cook completely and you can get a good mixture of apple and muffin in each bite. Preheat the oven to 350˚F. I use convection bake on my oven, but just regular old bake will work too! In a large bowl, mix the flour, baking soda, cinnamon and salt together. In a separate smaller bowl mix the melted butter, vanilla, and brown sugar. I highly recommend you mixing these two first. If you pour cold buttermilk or eggs directly into the melted butter it can make it reharden and much harder to mix. If you mix the butter with the sugar first it helps to prevent that. Then you can mix the buttermilk and egg into the mixture and stir until everything is well combined. After that, pour the wet ingredients into the dry ingredients and mix until just moistened. Don’t over mix because that can make them tougher, but I just stir it until there are no dry spots left. Then pour the apples on top and fold them into the batter until they are evenly distributed. Spoon the batter into 24 muffins cups, either lined or greased. These do release well from paper so using cupcake liners so that is a great option especially if you want to take them on the go. If you are serving them at a brunch or something similar you might want to make them without the paper so people don’t have to peel it off and find somewhere to discard it. To make the topping, grab a small bowl, then combine the butter and brown sugar. I like to start again with the butter and brown sugar because it mixes well and makes it easy to combine the next ingredients smoothly. Now mix in the flour, oatmeal and cinnamon working it well until the mixture resembles pea sized crumbs. I like to start with a fork, and then move to working this with my fingers. It makes it easier to get it into that nice bakery style crumble texture. 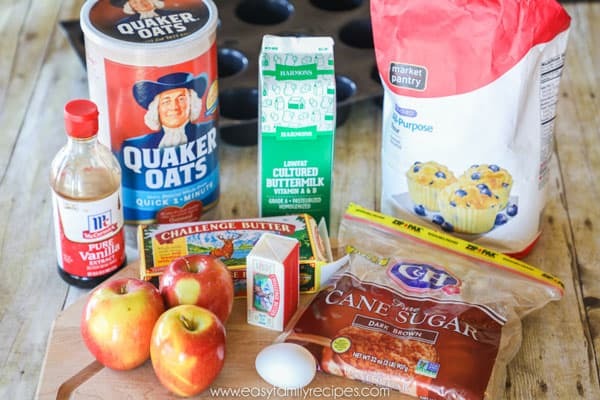 Sprinkle mixture over each of the tops of the apple cinnamon muffins. I probably use a teaspoon or two on top of each muffin. I like a light cover of crumble and this amount should be the perfect amount for that. If you like more crumble on your muffins, I recommend doubling the crumble part of the recipe so you can really load up the muffins. Once you have the crumble on all of them, bake for 20-25 minutes on the middle rack, or until the top just springs back when touched. I like to watch them and as they bake the centers will be shiny but as they become done, the shine will dull. This is my clue that they are ready, so I just give them a check then take them out to cool. I hope that you fall in love with these Apple Cinnamon Muffins as much as we have (pun intended, ha!) If you get a chance to make it, I would love it if you would take a moment to leave me a note in the comments. It just makes my day to know people are making and enjoying the recipes I share. Or snap a photo and tag me on Instagram @easyfamilyrecipes so I can see what you are cooking! 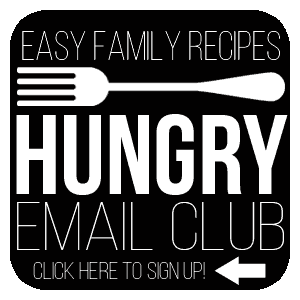 And before you go… don’t forget to sign up for my Hungry Email Club for more easy recipes! These muffins are a favorite of many and won't stick around long! 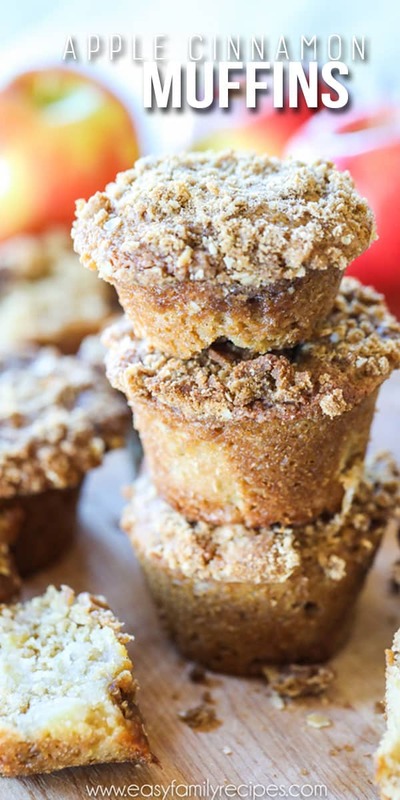 They are filled with tender apples in a delicious cinnamon muffin and topped with a crispy crumb topping. These will rival any muffins you get at a bakery! In a large bowl, mix the flour, baking soda, cinnamon and salt together. In a separate bowl mix the melted butter, vanilla, and brown sugar, then mix the buttermilk and egg into the mixture and stir until combined. Pour the wet ingredients into the dry ingredients and mix until just moistened. 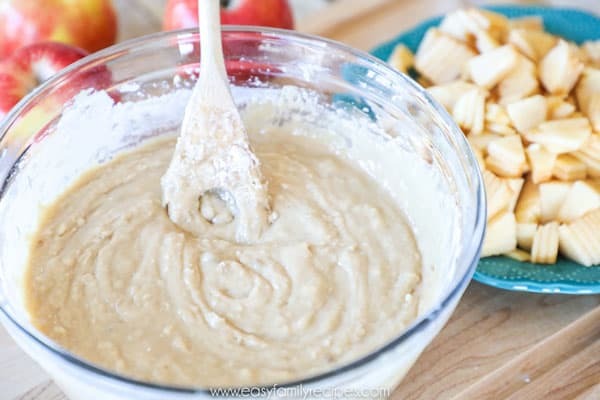 Fold the apples into the mix. Spoon the batter into 24 muffins cups, either lined or greased. In a small bowl, combine the butter and brown sugar. Then mix in the flour, oatmeal and cinnamon working it well until the mixture resembles pea sized crumbs. Sprinkle mixture over each of the tops of the muffins then bake for 20-25 minutes on the middle rack, or until the top just springs back when touched. 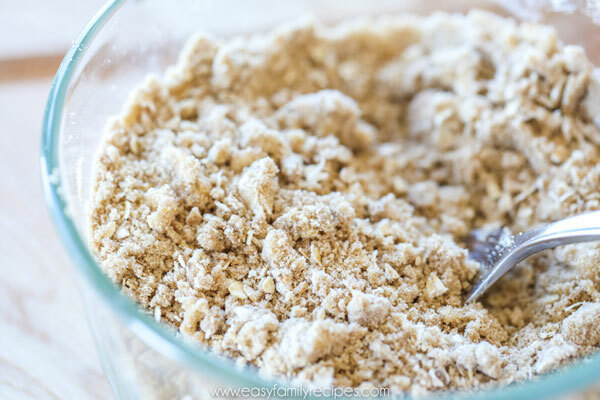 Crumb topping can be doubled for a heavier crumb topping for each muffin.